The following article is the introduction to a paper I wrote. The analogy developed in the following paragraphs was so helpful that I have used it on a number of occasions when presenting on sexual issues. I hope you find it helpful! In December of 1903 the Wright brothers were the “first in flight.” Aerospace engineering took-off over the next 25 years, and by 1927 aviation experts built a gyroscopic instrument that allowed pilots to interpret altitude. The problem was that pilots did not trust them. When first used, pilots said the instruments were nearly perfect in clear weather, but the instruments ran amok in the clouds. Scientists now know that the instruments remained nearly perfect; it was the pilot’s brain that ran amok. This phenomenon is called “unrecognized spatial disorientation” previously known as aviator’s vertigo. There is a physiological explanation connected to the motion of the fluid within the inner ear. During an aeronautic maneuver the fluid of the inner ear is in motion and makes appropriate adjustments to maintain equilibrium. However, without the benefit of visual cues, the body does not know if it is still turning or moving straight forward. It causes the pilot to become unaware of altitude, airspeed, and direction (LeCompte, 2008). The most difficult thing for aviators in the 1930s was learning to trust the instruments. In fact, the average life expectancy of an aviator who flies into clouds or conditions without instruments is only 178 seconds (LeCompte, 2008). Paying attention to and trusting the instruments is still a problem today. Let’s jump ahead 70 years – June 26, 2007, Major Gregory Young was flying an F-15A over the Pacific Ocean just off of the coast of Oregon on a training exercise. Young was 34 years old, with more than 2,300 hours of logged flight time, nearly one/third of that time in F-15s. The $32 million fighter jet was traveling at over 600 miles per hour when Young and his aircraft hit the water. The aircraft was in perfect working order, there was no attempt to eject, and no call for help. Investigators concluded that Young suffered from unrecognized spatial disorientation (i.e. aviator’s vertigo) which caused him to be completely unaware of his surroundings (LeCompte, 2008). Modern culture is currently experiencing a similar type of disorientation in regard to gender roles. Many people argue that gender roles are simply social constructs. Louis Gould’s 1978 children’s book, X: A Fabulous Child’s Story, while a remarkably simple read, makes some profound statements about gender as a social construction. On April 15, 2014, India’s Supreme Court recognized India’s transsexual and transgender people as “the third gender” (Singh, 2014). While this decision in India is significant and deserves further discussion, the conversation has already moved even further “down the rabbit hole.” Facebook, the popular social media site, offers over fifty different gender options (Herbenick & Baldwin, 2014). And, three gay men from Thailand married one another in what the New York Post titled the first “throuple” (Haque, Feb 27, 2015). Modern society is in the midst of a “gender disorientation.” Like the pilot who becomes completely disoriented without recognizing it, our culture is completely disoriented. 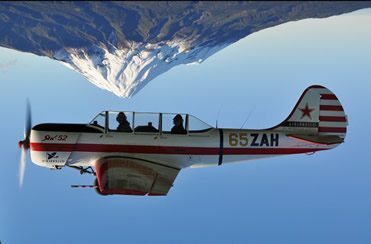 We are flying upside down and have no idea that we are completely inverted. The only way to avoid a fatal crash is to pay attention to and trust the instruments. That instrument is the Bible, and in the coming weeks, I will outline what the Bible has to say about gender, specifically in Genesis 1-3.